Yes Response are pleased to be supporting Jeans For Genes charity fund raising efforts this Friday. The Royal Mail have predicted that by 2022 delivery of goods on subscription ranging from magazines to beauty products are set to double in value to £1billion by 2022. This so called subscription box deliveries service is most popular with the under-35s with one in four consumers already signed up. The Royal Mail have said that this boom in subscription delivery is mainly due to start-ups with other businesses keen to get involved. Let Yes Response support your company activities and sales growth cost effectively. Our fulfilment services include a telemarketing team, mail order and e-fulfilment, response handling, POS storage and distribution, lettershop and kit collation, customer satisfaction programmes, proof of purchase redemptions, product sampling, database management and customer complaints management. Andrew is one of our most physically active team members who is involved in football coaching. 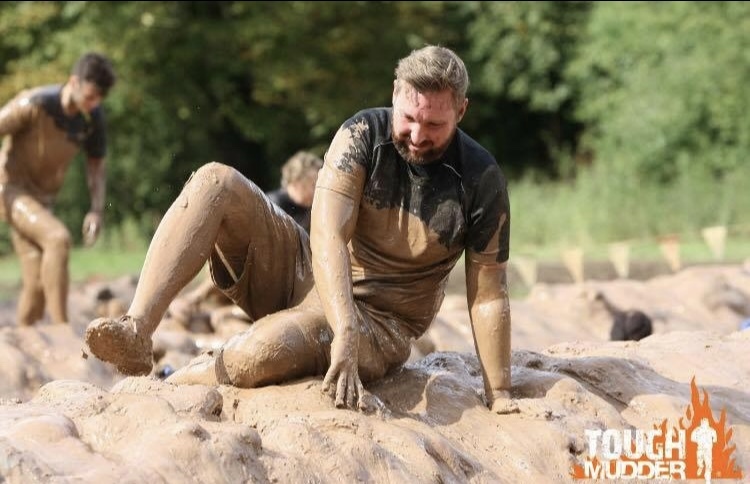 Last Sunday he participated in Tough Mudder North West to raise funds for East Staffordshire First Responders, Cancer Research UK and the Uttoxeter Juniors U13’s. Andrew also pledged to brave the shave for Cancer Research UK if he managed to raise £500 for the charities. The funds raised from sponsorship are due to be collected and tallied at the end of the month with the estimated donation figure being around the £2,000 mark. Andrew would like to thank Yes Response and all those who kindly donated to his fund raising efforts.